Welcome to our new guide to the city of Southampton in England. 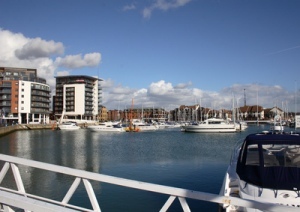 Southampton Search is a city portal, visitor guide and local search engine all rolled into one. Packed with all the latest Southampton information and resources, our site caters for locals, visitors and tourists alike. Browse our eating out directory which includes restaurants, takaways, coffee shops and more, together with links to Southampton restaurants that provide online booking. Looking for ideas on where to go out tonight? Browse our Southampton pubs, bars and nightclub listings and find links to latest offers, promotions and nightlife events. Find out what's happening where and when in Southampton. Our events guide holds latest events listings in many categories, so there is something for eveyone. Browse our Southampton attractions & tours section for ideas on sightseeing, day trips and excursions. Also find links to local & national tours that you can book online. Find local car hire and vehicle hire services in Southampton. Also provides the latest rental deals together with links to all the major car and van hire companies. Book Southampton hotels online and browse our local directory for hotels, guest houses, hostels, camping & caravan sites, holiday parks & self-catering accommodation. Find Southampton visitor guides, maps, books, dvds and other Southampton related items. Use our online map to find your way about the city , together with directions. Browse our selection of popular images of Southampton and find links to a number of quality picture resources including local photography groups and photo-galleries. The latest properties for sale & for rent within the area, updated by local agents, owners & private landlords. Includes our Southampton property services directory. Browse our jobs section for the latest job vacancies and employment services in Southampton. Our job listings are updated by UK job agents and local employers. Browse our classified ads section and pick up a bargain. Our Southampton adverts are updated by individual sellers local to the area. It's also completely free to add a listing. Within our local business directory you will find a good number of categories which represent all types of businesses, organisations and groups within Southampton. Browse our offers and promotions section for all the latest deals in Southampton. Updated by a wide range of businesses, to promote their latest deals on goods & services. Sign-up to our discussion forum and have your say. Our community chat and visitor forum gives you the chance to get interactive and share your Southampton interests. Keep up to date with the latest news and sport in Southampton and surrounding areas. We have also listed links to local newspaper websites and news resources. Our Southampton web links directory hold more quality resources with thumbnail previews. All websites listed within have been reviewed and are updated regularly. Thomas High, 29, may have crashed an hour before he was found dead, police said. Zakiya Mckenzie, from Bristol, and Tiffany Francis, of Petersfield, "will diversify nature writing". The idea could see traffic banned in Southampton city centre for one Sunday each month. US president Donald Trump will attend the D-Day commemorations in Portsmouth during his UK visit. Southampton striker Shane Long scores the fastest goal in Premier League history against Watford on Tuesday. Harry Joyce, of no fixed address, appeared at Southampton Magistrates' Court earlier. Designed by Scots engineers, the Phoenix is a new type of plane which can travel long distances and stay aloft for long periods. A new football team is helping to support bereaved fathers that have lost a child. Ollie has been wrestling as 'Priscilla, Queen of the Ring' for the past nine years. Unsecured, sensitive personal information has been left on full display at a former nursing home. Southampton Search - City portal, visitor guide and local search engine - Watch us grow and bookmark us today. City Guides : Explore other UK cities near Southampton including Winchester, Portsmouth, Salisbury, Chichester and Bath.